Since 1975, Grisham has led the effort to beautify and protect homes throughout the United States. 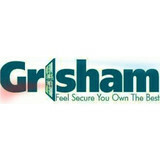 Grisham has been at the forefront of nearly every major improvement in door and window security in the past 4 decades. At Grisham Brothers, our mission statement is to offer the finest quality security products at the best value to both the professional and do it yourself customers. Our commitment to advanced engineering and superior components results in the highest level of customer satisfaction, and product integrity. Our final goal is that you experience peace of mind through the protection of family and home while at home or away. We look forward to the opportunity and privilege to serve you in the near future..
Memphis Door & Hardware can design, build and install any door you can imagine. We have close relationships with local craftsmen that specialize in custom carpentry as well as door manufactures that offer custom design/build. On occasion, Tony Salvaggio will commission himself to design and build doors, gates and shutters for very special projects that require a local artist touch. Memphis Door & Hardware specializes in residential wood doors of all styles and prices. Regardless of the style, size or door configuration; Memphis Door and Hardware can provide the products and the installation. We offer free estimates at your home or business. Didn't see what you were looking for, let us know. If you've seen it, we can do it! Call Memphis Door & Hardware today. Memphis, TN is more than just a hot spot for music and song lyrics – more than this, it is home to plenty of people who feel safe here, thanks to companies such as our own. Here at Memphis Mobile Locksmith, you will find a team of skilled experts who very well understand that your home should be where you feel the safest. This is a place where you should feel protected. The same goes for your commercial property. When you are at work, you have plenty of things to focus on and worry about. You shouldn’t have to worry about safety and security. We allow you to take advantage of our auto, residential and commercial services which were designed to help you feel this sense of security that you deserve. It doesn’t matter where you are, even if it is Memphis, Tennessee. You still need to have strong, resilient locks and other solutions such as access control. Maybe your locks are so strong and powerful that they are working against you, keeping you trapped outside. If you need help getting back inside during a lockout then you need an expert who will come to your property at the last minute. You need someone who is willing to work 24 hours a day, 7 days a week, just like us. Some of the services we offer include drawer locks, combination changing, cabinet locks, patio locks, lock installation, panic bars, deadbolt installation, gun safes, key extraction, safe installation, high security sidewinders, and so much more. Names we use include Kwikset, Mul-T-Lock, Schlage, Kaba, Medeco, and ASSA. Choose Memphis Mobile Locksmith! Creating Interiors | www.worlds-away.com | Worlds Away is a designer wholesale company to the trade. When someone in Whitehaven, TN needs the services of a locksmith, they will often turn to Whitehaven Locksmith. It is no wonder why; they get fast and efficient locksmith services. If this is what you want from your locksmith, give us a call and we’ll have help by your side in no time. Our locksmiths specialize in residential, automotive, commercial and emergency locksmith services. Do yourself a favor by relying on us to help you with your locksmith service needs. We will not stop until we know that the job is done right. Every job we perform receives an inspection to insure its accuracy. You always get your money’s worth and more when you turn to us for your locksmith service needs, big or small. To be sure that you can get the help that you need, make sure you turn to the preferred services of Whitehaven Locksmith. We know that it is no longer normal to receive quality services when you turn to service provider but we don’t believe that this is how things should be. We believe that receiving quality services should be the norm not the exception. This is why you can always count on our locksmiths in Whitehaven to provide you with the best quality of services possible. We not only act quickly to address your service needs but we also pride ourselves on providing our customers with efficient services that they can rely on. Allow us to show you what we can do for you. There may come a time when you need the help of a responsive locksmith in West Memphis, AR. Many depend on the services of West Memphis Locksmith Pros because of their quality of service and responsiveness. You will not find a better locksmith service suited to assist with your automotive, commercial or residential locksmith service needs. No matter how challenging your service requests are, you can be sure that our locksmiths are capable of handling the challenge. We offer 24-hour mobile lock and key services at West Memphis Locksmith Pros. You can get the help that you need whenever you need it, morning, noon or night. No matter the extent of the work that is involved, you will always receive fair pricing. We aren’t in the habit of taking advantage of our customers. When you need a professional and efficient locksmith in West Memphis, you’ll find it when you rely on us for your service needs. There is no one better suited to assist you with your service needs that we are. We are the preferred and most sufficient locksmith service in town. There is no job that is beyond our scope of expertise. We only hire the best and most qualified locksmith service around. Getting you fast and efficient service is important to us. This is why we do our best to make sure that you are able to receive fast and efficient services when you contact us for your emergency service needs. We always guarantee your total satisfaction. If you are looking for affordable security solutions, then you need Collierville Mobile Locksmith. We are a local company that provides Collierville, TN and the surrounding area with excellent commercial, emergency, residential and automotive locksmith services. We offer these services for an affordable price, and they are provided by licensed and insured professionals who are dedicated to ensuring you have the absolute best in property security. Whether you need key duplication, transponder key programming, 24/7 emergency lockout help, deadbolt changes, ignition change, intercom systems, break in repairs, high security sidewinder or something else, we have your back. We work hard so that you can relax and feel a sense of peace and security while you are using your property, and even when you aren’t there. Services like access control can make your commercial property so much more secure. Other services let you keep track of who is entering and leaving your property. Collierville Mobile Locksmith provides free consultations so that all of your questions can be answered. We offer free price quotes too that allow you to see how affordable we are. If you are looking for a same day appointment, let us know! Collierville Mobile Locksmith is available to provide 24 hour a day emergency service, so you are never stuck too long in a lockout. We also allow you to schedule appointments with us at a time that works for you. Give us a call with any questions! We are here for you! Maclin Security Doors located at 5675 Summer Ave. We the leader in security storm doors. We also have matching window guards and wrought iron columns. Call for a free in home estimate. West Tennessee Ornamental Door Co. Manufacturer of Security Storm Doors sold and installed through American Door in Bartlett TN and through your local Lowe's Home Improvement Centers Nationwide. We also manufacture Ornamental Fence, Gates and Entrance Gates and Distribute Gate Openers and Access Control Products to our Retail Distributors Nationwide. 247 Tennessee Locksmith provides fast, reliable, and affordable 24 hour a day, seven days a week, 365 days a year emergency locksmith service for automotive, commercial and residential needs in Memphis, TN and the surrounding areas. All our locksmith technicians are licensed and insured to offer the most reliable and affordable locksmith services. You can call us anytime at 629-777-5333. ASAP Garage Door and Gate Repair serves the Memphis Metro/ South Tennessee and North Mississippi area. We are your #1 provider of Liftmaster® garage door and automatic gate operators for residential and commercial buildings. Hardware Direct is a family-owned business located near Memphis, TN. We are dedicated to providing our customers with great service and the lowest possible prices. Whether you are a homeowner updating your home or a contractor needing door hardware for multiple homes, we offer what you need. We offer multiple brands so you can find the style and finish to suit your needs and budget. What kind of services do Memphis door dealers provide? Door dealers are responsible for a variety of services, including door installation, replacement, door repair and custom door design. If you need a new door, Memphis, TN door dealers will help you determine what kind you need, as well as shape, color, size and more. From barn doors to French doors to front doors, these professionals can help you choose, install and maintain your door investments. Wood doors are beautiful, versatile and tend to be the most popular choice for both interior and exterior doors; they are easy to custom build, and include oak, cherry, walnut, mahogany, maple, fir and pine. Some standard wood doors have MDF cores wrapped in wood veneers, which minimizes the chances of warping as real wood expands when wet and contracts when dry. If your heart is set on a wood door but you think the Memphis, TN climate might cause it to warp, talk to your door professional about a furniture-grade veneered door. Aluminum doors have an insulated core and come in a variety of colors and finishes. With a baked-on enamel finish, they won’t rust or need repainting, and many come with a 20-year warranty. Next to wood they are the most expensive and have to be custom-made. A Memphis, TN door dealer can help you find a reputable aluminum door manufacturer. 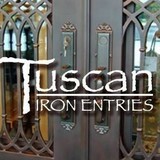 Find door dealers and installers in Memphis, TN on Houzz. 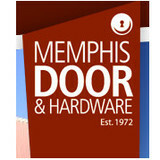 Look in the Professionals section of our website and search for Memphis, TN door dealers and installers. Read reviews, look at project photos and see how a pro can help with your home improvement project.